Mini Avatar(s) | THE PORTICO.. But If we are about to make a retro scene, we cannot avoid showing scooters, trendy helmets, such a lovely machines and why i am speaking this stuff ? BAJAJ. 1) Companies which sets foot on anything,everything but never provides a good solution for a common man’s grief. 2) Companies which will be either omnipresent or present on a single field but with firm basement, they do their best to help people of all class at least they put their best to help people of middle class. Tata and Bajaj, i classify these 2 companies at companies of 2nd kind. Ratan Tata followed his words, really he made so many people to accomplish their dream, “i must own a car”. forget their appearance,forget their money but remember that man who stood by his words and remember the families which rejoiced after owning their first ever car. Tata nano may be a car of poor man perhaps an economical man but still it is a car which has 4 wheels and takes people from one place to another. Tata Nano vs BMW, former has great mileage than latter. but latter has elegance,aesthetic and extravaganza, BMW is rich man’s NANO. NANO is an economical man’s BMW. comparisons might be weird(be patient). 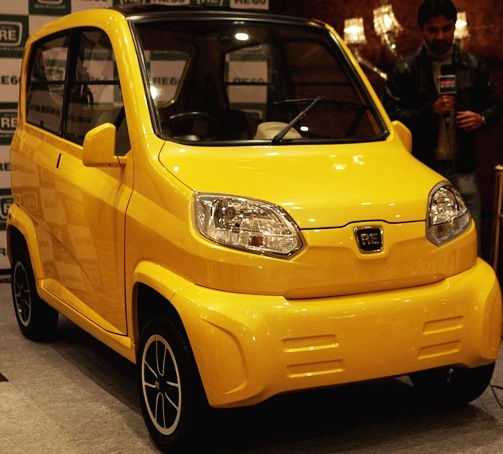 Bajaj RE60, can say this car as a cousin of auto rickshaws, this RE60 looks like a golf car. but as i said earlier, it is still a car which ferries people. Personally i feel, if all of us own a RE60 i guess our great grand children can see how petrol looks like and perhaps our fuel consumption and price will get reduced. RE60 is safest vehicle to the world, because ? an environment friendly car with a CO2 emission of 60 gm per kilometer. Mileage as i said earlier 35km/l. For whom it benefits ? People who has their office at outskirts and a calm place can definitely use this for reaching safe and soft. This car can be definitely used for dropping kids at school, you would have seen a father ferrying 5 kids in his bike, they are prone to accident. Can also be used as taxi in cities. As Indonesian auto rickshaws are earmark for them in Hollywood movies, these mini avatars like Nano and RE60 can be and will be an earmark for India. India is not country with a family of 3 and here more people and an improper,changeling economy, for those who projects “Car” as a dream, these cars will be their dream come true. Deepak Karthik @ Whatever It Takes ! ← Indian Cinema- A Review ! Thanks varun.. Keep visiting ! Actually other companies should also come up with such environment friendly cars !!! Indeed they must come up with new ideas and most of our indian companies are doing it, except few.. Thanks vasanth, keep visiting ! Nice post Deepak! One of my uncles, in his late 70s and who dont know how to drive, bought a Nano for his grandchildren! And they all are pretty happy with it. These small cars are here to stay! Being a car owner is still a matter of pride for us Indians, as you said, it need not be an Audi or BMW – a Nano or RE60 will do! Nice Insightful post Deepak. Hopefully our governments tackles the traffic problems before these cars flood our roads. I’ve been reading your blog lately. 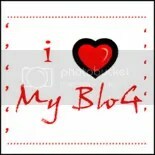 Your blog is really very genuine to read and comprehend. Its something I would appreciate reading after a long day. thanks a ton saikat !